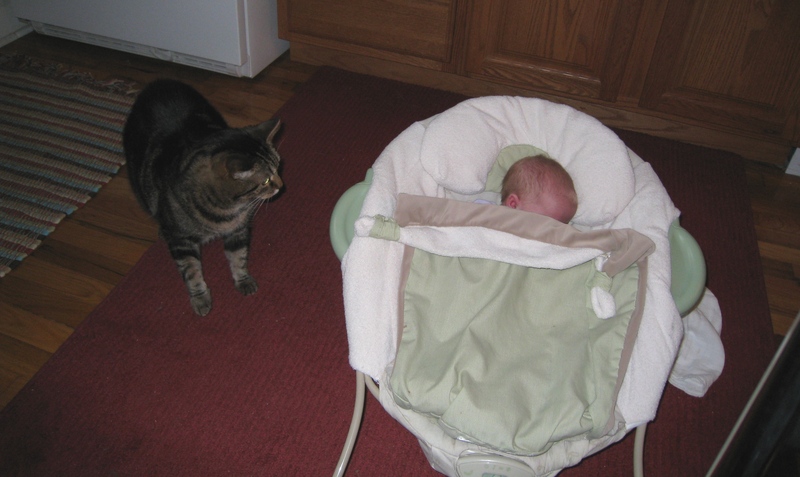 Ella (the little cat) will occasionally walk up and sniff Kivrin’s hand, but generally could care less if the baby is awake, moving around, crying, etc. Ella does seem to like the baby’s stuff though, especially to sit on it, sleep on it, and claim it as her own. 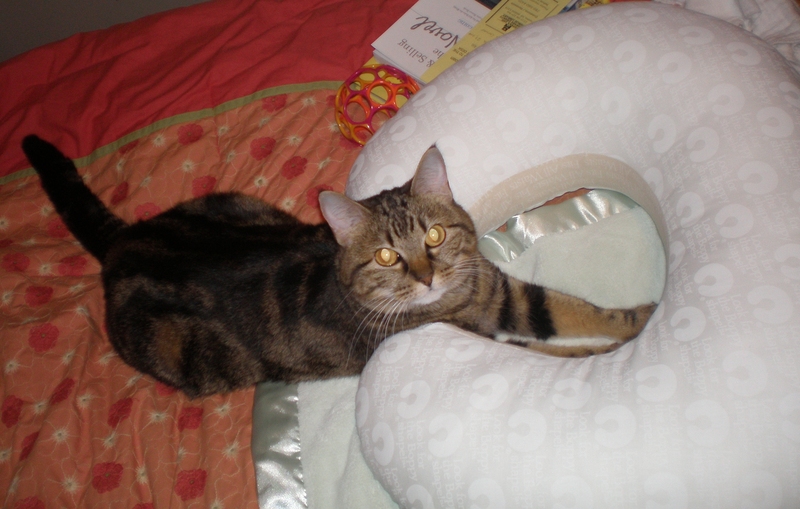 I don’t understand why she is trying to sit in the baby’s boppy pillow…but she is definitely a silly little kitten. The big cat may never forgive us for bringing home this new “pet” that takes all of our attention away from him. The few times he gets close enough to check out Kivrin, she moves her arm or makes a sound, and he runs away. He usually watches us all suspiciously from the kitchen doorway. 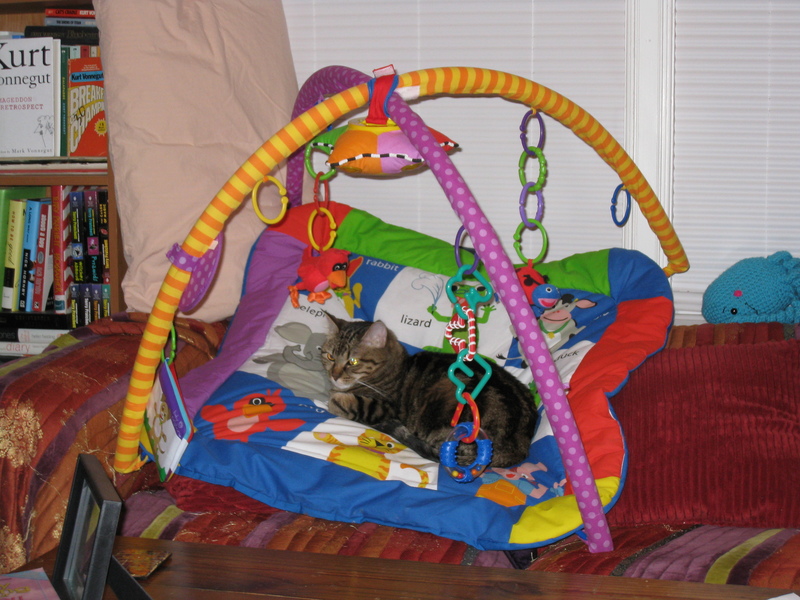 Hopefully the cats appreciate the relative peace and quiet of having an infant in the house now, because last weekend they got a preview of what it will be like to have a toddler around, and I think the big cat especially is still recovering from the ordeal!! !